The summer of 2018 is a world away from 1979, with its ayatollahs and revolutionaries caught in the grip of fanatic devotion. If anything, the accolades for the men’s side more resembled 2009, when mass protests against a rigged presidential election brought new prominence, and a new persona, to Iran’s women. Then as now, foreign coverage focused on the participants’ physical beauty. The iconic images of stylish female protesters facing down security forces replaced, for a time, the usual displays of draped women set against scary murals. If for once the revolution was inscribed on male rather than female bodies, it nonetheless presented a familiar dilemma. The power of beauty to humanize Iranian citizens as something other than fanatics, or the victims of fanatics, played directly into the hands of those who deal in binaries. It set the stage once again for a world fairly apportioned between these “good” Iranians, but not those “bad” ones. These men are good because they look good. As it were, the upgrade in status was not a choice but a judgement. The new Iranian male remained an object, labeled and categorized by others, even if now he came with a fade and a fitted jacket. And yet, weren’t handsome men better than the usual fare, the hordes of scary Iranians chanting slogans and climbing embassy walls? Why not embrace the ground that had been given? 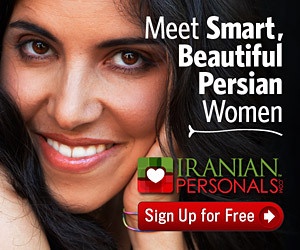 Beautiful Iranians were unavailable, and mostly unthinkable, in the 1980s. I grew up during the worst of it, the hostage crisis, the shooting down of Iran Air Flight 655, the daily worry that the US might soon go to war. Hyphenated at birth, an immigrant before my first birthday, I discovered that 1979 formalized the separation between myself and Iran. I leaned into the American half even if my hair, nose, and name suggested swarthier possibilities. I performed American, an evasion that included refusing, discretely, the countless caps, visors, and jerseys I received over the years from overseas relatives. The letters I-R-A-N, stitched loud and proud across the chest, was too much to bear in public. Of course, in Iran the story reversed. There I could be nothing but an American, the hair, the walk, and the accent dead giveaways. Iranians place great weight on outward appearances, and I learned quickly that to carry out my research, I needed to up my sartorial game. Put on the jacket, put away the ponytail, perform the part of an ostad, a professor, even if I was still a graduate student. One of my colleagues in Tehran proposed that I look beyond the superficiality, to see the sociology behind the performative nature of public life in Iran. Iranians had been conditioned over generations to distrust all but their closest relatives and deprived of honest institutions to enforce the laws that would render the absence of trust less important. Unable to gain access to the hearts and minds of their neighbors, dress and appearance offered an everyday measure, shorthand “proof” of character and intent. These wing tips and that hair don’t lie, even if they were poor substitutes for a functioning civil society. These habits of the heart were brought over to the U.S. following the revolution, and with varying degrees of success applied by parents to their children. Mothers might say to sons and daughters, Ba in gheafeh dari miri biroon? Dorost hesabi lebas bepoosh! Are you going out looking like that? Dress properly! The politics of appearance took new form in the diaspora, where immigrants found a consumerist society with retailers eager to supply their American dreams. Satellite stations like Manoto amplified decorative-as-substance impulses by trafficking in the illusion that things were once better in Iran because the government and its people dressed better, were more chic, more ba klas, more Persian. That such sentiments provide cover for rather ugly race and class prejudices has gone unmentioned or unnoticed. Carefully curated films of the stylish shah and his empress have found eager audiences among young and old alike. Nostalgia for a past that never existed registered the sense of loss. Iranians could be great again if only they would dress for the part. Iran’s final match against Portugal ended in a tie, which by the vagaries of World Cup soccer counted as a defeat. As it happened, I watched the game in London, surrounded by British and American fans, temporary bedfellows who for 90 minutes joined in the hooting and the hollering, sharing in the unthinking attachment that the more than 80 million Iranians in the world have for this Team Melli. The boys performed well, earning over the course of three games the respect of the world and the international soccer community. Finally judged by their play, not their appearance, the team came home to a hero’s welcome. Thousands made the long middle-of-the-night journey to Imam Khomeini Airport. They came to cheer, to wrap the lads in a veil of dignity, their team delivered safely into a devoted country’s embrace.